Abstract: In wireless sensor network, due to the high density of nodes, the redundant data will be detected by neighboring nodes while sensing an event. So energy consumption is key issue in wireless sensor network. In order to save energy all these redundant data will be aggregated at intermediate node and then it will send to sink node. Wireless sensor network has some key constraints such as limited energy resources, lack of infrastructure. All these constraints impose some security challenges. Now days wireless sensor network widely used in many civilian application areas which include environment and healthcare applications, home automation, habitat monitoring and traffic control. Security plays a fundamental role in many wireless sensor network applications. In this paper secure DRINA algorithm is implemented for routing purpose and security is achieved for secure data transmission. DRINA –Data routing in network aggregation, which gives best aggregation quality compared to previous algorithm i.e.InFRA and SPT. .
Keywords: Wireless Sensor Network (WSN), Data routing for in-network aggregation for WSNs (DRINA), Routing, Clustering, Security. 1. DRINA: A Lightweight and Reliable Routing Approach for in-Network Aggregation in Wireless Sensor Networks Leandro Villas1 2, Azzedine Boukerche1, Heitor S. Ramos1 , 2, Horacio A. B. F. de Oliveira3, Regina B. de Araujo4 and Antonio A. F. Loureiro2 ,2012 IEEE. 4. Boukerche, Algorithms and Protocols for Wireless Sensor Networks. Wiley-IEEE Press, 2008. 5. G. Anastasi, M. Conti, M. Francesco, and A. Passarella, “Energy conservation in wireless sensor networks: A survey,” Ad Hoc Networks, vol. 7, no. 3, pp. 537–568, May 2009. 6. Ameer Ahmed Abbasi Mohamed Younis “A survey on clustering algorithms for wireless sensor networks”, Department of Computing, Al-Hussan Institute of Management and Computer Science,Dammam 31411, Saudi Arabia Department of Computer Science and Electrical Engineering, University of Maryland, Baltimore County, Baltimore, MD 21250, USA ,21 June 2007. 7. Boukerche, R. B. Araujo, and L. Villas, “Optimal route selection for highly dynamic wireless sensor and actor networks environment,” in MSWiM , Proceedings of the 10th ACM Symposium on Modeling, analysis, and simulation of wireless and mobile systems. NewYork, NY, USA: ACM, 2007. 8. E. F. Nakamura, H. A. B. F. de Oliveira, L. F. Pontello, and A. A. F. Loureiro, “On demand role assignment for event-detection in sensor networks,” in ISCC ’06: Proceedings of the 11th IEEE Symposium on Computers and Communications. Washington, DC, USA: IEEE Computer Society, 2006. 9. Dirk WESTHOFF, Joao GIRAO, “Security Solutions for Wireless Sensor Networks” Amardeo SARMA NEC TECHNICAL JOURNAL Vol.1 No.3/2006 . 10. S. Olariu, Q. Xu, and A. Zomaya, “An energy-efficient self-organization protocol for wireless sensor networks,” in Intelligent Sensors, Sensor Networks and Information Processing Conference (ISSNIP). Melbourne,Australia: IEEE, December 2004. Abstract: Wireless sensor network is collection of sensor nodes and one sink node. Sensor nodes sense the signals and forward to the sink node. In event driven wireless sensor network where some event is happened that event is sense by one of the sensor node and forward to sink node. Sensor nodes are small in size so the energy capacity of sensor node is very less. In the event driven wireless sensor network energy is consumed when radios are on waiting for packet to arrive. In most of the Event-Driven wireless sensor network Sleep Wake-Up scheduling is used where most of the time sensor node is in sleep mode so that the energy is saved but one drawback of this sleep wake up scheduling is that it introduces delay in the network. So it is very important that to save the energy so that life time of sensor node is maximize for this “Anycat Packet” Forwarding scheme is used where each node forwards the packet to the first neighboring node that wake up among multiple nodes. In sleep wake-up scheduling energy consumed by sensor nodes are depends on the wake up rate of the node. If the wake –up rate of node having less energy is more then that node not alive more time.This paper gives the details of how anycast forwarding scheme is used along with Sleep Wake up scheduling to balance the wake up rates of all sensor nodes so that the lifetime of WSN is increase. Keywords: WSN, Anycast technique, Sleep –Wake up scheduling, Sensor node, Asynchronous. 3. J.Kim ,X.Lin,and N.B. Shroff “Optimal anycast technique for delay sensitive energy constrained asynchronous sensor networks”in Proc IEEE INFOCOM,Brazil,April 2009. 4. M.Rossi, M.Zorzi,and R.R.Rao “ Statistically assisted routing algorithm for hop count based forwarding in wireless sensor networks ”VOL 14,PP.55-70,Feb 2008. 5. W. Ye, H. Heidemann, and D. Estrin, “Medium access control with coordinated adaptive sleeping for wireless sensor networks,” IEEE/ACM Trans. Netw., vol. 12, no. 3, pp. 493–506, Jun. 2009. 6. Y.-C. Tseng, C.-S. Hsu, and T.-Y. Hsieh, “Power-saving protocols for IEEE 802.11-based multi-hop ad hoc networks,” Comput. Netw., vol. 43, pp. 317–337, Oct. 2008. 7. J. Kim, X. Lin, N. B. Shroff, and P. Sinha, “On maximizing the lifetime of delay-sensitive wireless sensor networks with anycast,” in Proc.IEEE INFOCOM, Pheonix, AZ, Apr. 2008, pp. 807–815. Abstract: The main objective of Image Segmentation is to partition an image into different parts. Image segmentation basically used to detect the edges and boundaries. This is done to simplify and/or change the representation of an image in a more meaningful and easier way. Many image segmentation techniques are available in the literature. Some of them used gray level histograms, some used spatial and some used thresholding techniques. Under thresholding techniques there are different methods. One of those methods is entropy. Entropy is a measure of unpredictability. A good segmentation will be one that maximize the uniformity of pixels within the regions and minimize the uniformity across the regions. So we can say that entropy is a natural characteristic to be incorporated in evaluation function. This paper attempts to provide a brief review for image segmentation using entropy. Keywords: 2D and 3D images, entropy, image segmentation, thresholding. 1. Andre L. Barbier et. al, “An entropy-based approach to automatic image segmentation of satellite images”, Elsevier 2010, pp 512-518. 2. A. Badera et.al, “Image Segmentation Using Excess Entropy”, Journal of Signal Processing Systems, 2009, pp 205-214. 3. Samy Sadek et. al, “A New Approach to Image Segmentation via Fuzzification of Rènyi entropy of Generalized Distributions”, World Academy of Science, Engineering and Technology, 2009, pp 598-603. 4. Sushil Kumar et. al, “ 2D Maximum Entropy Method for Image Thresholding Converge with Differential Evolution” Advances in Mechanical Engineering and its Applications (AMEA) , Vol. 2, No. 3, 2012, pp 189-192. 5. Lijie Liu et. al, “An entropy based segmentation algorithm for computer-generated document images” IEEE, Image Processing,2003, pp 541-544. 6. Magdolna Apro et. al “Colour Space Selection for Entropy-based Image Segmentation of Folded Substrate Images” Acta Polytechnica Hungarica Vol. 10, No. 1, 2013, pp 43-62. Abstract: Electrical machines plays an important role, the use of medium-sized electric machines burned every year around about 16%. In addition, because of electrical failure, damage caused by accident’s even at home appliances as well as factory production cause the indirect economic losses even more greater. Detailed analysis of motor operation and fault conditions due to over voltage, load, etc can be solved by the usage of the current performance of microcontroller, zigbee and sensors embedded –to analyze the general motor protection devices, by improving the software to hardware to achieve best utilization of the machines. The normal conditions are to be stored in the database when the results occur abnormal the differences between the values are to be calculated accurately and the fault occurrences are rectified itself. Keywords: Zigbee, sensors, monitoring system. 1. HAO Yingji and LI Liangfu, “A study of an intelligent monitoring protection System based on the 80C196 microcomputer for use with motors,” Industrial Instrumentation &Automation, No.4, 2001, pp.50-55. 2. Jiang Xianglong Cheng Shanmei and Xia Litao, “The Design of Intelligent Monitor and Protection System of AC Motor,” Monitor and Protection, no.8, 2001, pp.18-20. 3. LI Jun bin, ZHANG Yanxian and YANG Guangde, “Application of PICMCU in Electromotor Protect,” Journal of Zibo University, Vol.3, No.4, Dec.2001, pp.57-59. 4. YI Pan, SHI Yihui and ZHANG Chengxue, “Study of low voltage motor protection devices,” RELAY, Vol.34, No.19, 2006, pp.7-10. 5. ZHANG Nan, HUANG Yizhuang and LI xuanhua, Multi task Processing in the Integrated Protection Device,” Relay, Vol.31, No. 3, 2003, pp.3132. 6. HU Zhijian, ZHANG Chengxue and CHENG Yunping, “Study on Protective Algorithm for Elimination of Decaying Aperiodic Component,” Power System Technology, Vol.25, No.3, 2001, pp.7211. 8. A. Mahmood, M. Aamir, and M. I. Anis, “Design and Implementation of AMR Smart Grid System,” IEEE EPEC 2008 on Electric Power, Conference, 2008, pp.1-6. 9. I. F. Akyildiz, W.Su, Y.Sankarasubramaniam, and E. Cayirci, “Wireless sensor networks survey,” Computer Networks, vol. 38,no. 4, 2002, pp. 393-422. 10. C. M. Riley, B. K. Lin, T. G. Habetler, and R. R. Schoen, “A method for sensor less on-line vibration monitoring of induction machines,” IEEE Trans. Industry Applications, Vol. 34, pp.1240-1245, Nov. 1998. 11. Chipcon TI, “A True System-on-Chip solution for 2.4 GHz IEEE 802.15.4 /ZigBee® CC2430 Data Sheet (Rev.2.1),” 2008. 12. IAR Systems, “IAR Embedded Workbench IDE User Guide,” ftp://ftp.iar.se/WWWfiles/guides/ide/ouew-3.pdf, December 2004. 13. VPS Challenge LDRD Final Report LDRD 05-7000, SNL Security Systems and Technology Center, Albuquerque, New Mexico, 05 January 2005. 16. Coleri S, Cheung S Y, Varaiya P. Sensor networks for monitoring traffic[C]. Forty-Second Annual Allerton Conference on Communication, Control, and Computing, U. of Illinois, Sep 2004. 17. Ding J G, Cheung S Y, Tan C W et al. Signal processing of sensor node data for vehicle detection[C]. 7th International IEEE Conference on Intelligent Transportation Systems (ITSC), Oct 2004. 18. Brooks R R, Ramanathan P, Sayeed A M. Distributed target classification and tracking in sensor networks[J]. Proceedings of the IEEE, 2003, 91(8): 1163-1171. 21. Cheung S Y, Coleri S, Dundar B et al. Traffic measurement and vehicle classification with a single magnetic sensor[C]. 84th Annual Meeting, Transportation Research Board, 2005. 22. Cheol Oh, Stephen G R. Recognizing vehicle classification information from blade sensor signature [J]. Pattern Recognition Letters. 2007, 28(9): 1041-1049. 23. Ding J. Vehicle detection by sensor network nodes [D]. MS thesis, Department of Electrical Engineering and Computer Science, University of California, Berkeley, CA, Fall 2003. Abstract: Vibration is omnipotent, universal and multifaceted phenomena. Vibration absorption is a method of adding a tuned spring-mass absorber to a system to create anti-resonance at a resonance of the original system. Most real-world phenomena exhibit nonlinear behavior. In these paper overviews of various works are done. This paper tries to give an idea about the previous researches & their finding about study of nonlinearity in spring and mass, Static analysis of spring and study related to vibration absorber and its application. Keywords: Vibration Absorber, Resonance, Nonlinear behavior. 1. Sanket Modi, Ajeet Patil and S. P. Chavan, “Study on Helical Compression Spring of Varying Wire Diameter”, International Conference on Current trends in Engineering and Management (ICCTEM 2012) pp.237-240, July 2012. 2. Lei, Zuo Shuguang, Yang Xianwu, Wang Jirui, “A Finite Element Analysis of the Barrel-Shaped Helical Spring on the Vehicle Rear Suspension” ICCDA Vol 2, 2010. 3. Yu cheng su, Dr.Yuyi lin, “Modeling, Verification, Optimal Design of Nonlinear Valve Spring”. 4. M.I. Friswell, E.I. Saavedra Flores, Y. Xia, “Vibration Isolation using Nonlinear Springs”, Proceedings of ISMA 2012, pp.2333-2342, 2012. 5. Prof.S. H. Sawant, Dr. J. A. Tamboli “Analysis and Comparison of Vehicle Dynamic System with Nonlinear Parameters Subjected to Actual Random Road Excitations”, International Journal of Mechanical Engineering and Technology (IJMET), ISSN 0976 –6340(Print), ISSN 0976 – 6359(Online) Volume 3, Issue 2, May-August 2012. 6. Maxime Geeroms, Laurens Marijns, Mia Loccuﬁer and Dirk Aeyels, “Design of A Nonlinear Vibration Absorber”, Ghent University, Department EESA, Belgium. 7. Yung-Sheng Hsu, Neil S Ferguson, “The Experimental Performance of A Nonlinear Dynamic Vibration Absorber”, Proceedings of IMAC XXXI Conference and Exposition on Structural Dynamics, USA, 2013. 8. Prof. H.D. Desai, Prof. Nikunj Patel, “Analytical and Experimental Investigation of a Tuned Undamped Dynamic Vibration Absorber in Torsion”, Proceedings of World Congress on Engineering (WCE2010), vol. II, 2010. 9. Irshad M. Momin, Dr. Ranjit G Todkar, “Design and Development of A Pendulum Type Dynamic Vibration Absorber for A SDoF Vibrating System Subjected to Base Excitation”, International Journal of Mechanical Engineering and Technology (IJMET), pp.214-228, September-December 2012. Abstract: The Intergovernmental Panel for Climate Change (IPCC) projections on temperature predicts an increase of 1.8 to 4.0°C, by the end of this century. There is a likelihood of a considerable impact on agricultural land-use due to snow melt, availability of irrigation, frequency and intensity of inter and intra seasonal droughts and floods, soil organic transformation matters, soil erosion and availability of energy as a result of global warming, impacting agricultural production. Global warming due to greenhouse effect is expected to impact hydrological cycle viz. precipitation, evapo-transpiration, soil moisture etc., which would create new challenges for agriculture. In the present paper an attempt is made to predict the impact of temperature variance on the Jowar crop production. To know the impact of temperature on the Jowar crop yield in India, an experiment is conducted on the Jowar yield and temperature of India from the period 1950-2011. In the experiment it is proved that Jowar yields are very fewer dependent on the temperature. In the end it is know that there may be other factors impacting the yield at a high level because Jowar crop yields were increased even when the temperature is decreased. Keywords: Yield Estimation, Data- mining, Correlation, Correlation Analysis, Regression and Regression Analysis. 1. Timothy R Wheeler, Peter Q Craufurd, Richard H Ellis, P.V.Vara Prasad “ The effect of temperature variability on the yield of annual crops” , Agriculture, EcoSystems & Environment, Volume 82, and Issue 1-3, December, 2000. 2. Rezaul Mahmood , “Air temperature variations and rice productivity in Bangladesh: a comparative study of the performance of the YIELD and the CERES-Rice models.” Department of Geography, College of Geosciences, University of Oklahoma, Norman, OK 73019, USA, Ecological Modelling DOI:10.1016/S0304-3800(97)00192-0. 3. Agarwal P.K and Sinha S.K., “Effect of probable increase in carbon dioxide and temperature on wheat yields in India”, Journal of Agricultural Meteorology, 48(5), pages: 811-824, ISSN 0021-888. 4. A.J.Challinor, T.R.Wheeler, P.Q.Craufurd and J.M.Slingo, “Simulation of the impact of high temperature stress on annual crop yields”, Journal of Agriculture and Forest Meterology, Volume 135, Issue 1-4, 14 December 2005, Pages 180-189. 5. Cahill, Kimberly Nicholas “Modeling climate and climate change impacts on wine grape yields in California”, Proceedings of the 2nd Annual National Viticulture Research Conference, July. Vol. 9, 2008. 6. Sarma, A. A. L. N., TV Lakshmi Kumar, and K. Koteswararao. “Development of an agroclimatic model for the estimation of rice yield”, Journal of the Indian Geophysical Union 12.2 (2008): 89-96. 7. Safa, Babak, et al. “Artificial neural networks application to predict wheat yield using climatic data”. 20th International Conference on UPS. 2004. 8. A Awan, M Sap - Advances in Knowledge Discovery and Data Mining, 2006. 9. Jayanta Kumar Basak1, M. Ashraf Ali1, Md. Nazrul Islam2 and Md. Jobair Bin Alam1, Assessment of the effect of climate change on boro rice production in Bangladesh using CERES-Rice model, Journal of Civil Engineering (IEB), 38(2)(2010) 95-108. Abstract: A pollutant of concern to the mankind is the exhaust noise in the internal combustion engine. However this noise can be reduced sufficiently by means of a well designed silencer. The suitable design and development will help to reduce the noise level, but at the same time the performance of the engine should not be hampered by the back pressure caused by the silencer. With the stringent legislative requirements for noise in automobiles, the concern for properly designed s for specific applications is increasing .Optimized design of requires an integrated study of acoustical and engine performance viz. backpressure. However, the Backpressure loss itself depends upon engine characteristics geometry indicated by the transmission loss, flow induced noise, type of - reactive, absorptive, hybrid, etc. Most of the work till date covers the acoustical and engine performance in isolation rather than in an integrated fashion due to the multidisciplinary nature of the problem. The objective of this study is to develop an integrated methodology to predict the performance of the at the design stage resulting in an optimized time and cost effective design. In the present study, the acoustical and engine performance of was predicted using CFD techniques. Using the integrated approach, it was possible to optimize the design and meet the two conflicting requirements and reduce the design cycle time. Keywords: Silencer, Acoustic, Backpressure, CFD. 1. M. L. Munjal., “Acoustics of Ducts and Mufflers”, John Wiley, 1987. 2. A. I. Sharkawy, “A Critical Survey Of Basic Theories used in silencer design and analysis” Applied Acoustics, Vol. 20(3) pp. 195-218, 1987. 3. M. L. Munjal, “ Analysis & Design Of Silencer- An Overview Of Research at the Indian Institute of Science”, Journal Sound & Vibration, Vol. 211(3), pp.425-433,1998. 4. A. J. Green, “Gas Flow Noise And Pressure Loss In Heavy Vehicle Exhaust System”, Proc. Inst. Mech. Engg., Vol. C17, pp. 47-53, 1988. 5. Min-Ho Kim, “Three Dimensional Numerical Study On the Pulsating Flow inside Automotive Silencer With Complicated Flow Path” , SAE No. 2001-01-0944, 2001. 6. Z. L. Ji, “ Acoustic Attenuation Performance Analysis Of Multi-Chamber Reactive Silencers”, Journal Sound & Vibration, Vol. 283(2005), pp.459-466,2005. 7. Potente, Daniel, “Genral Design Principal For An Automotive Muffler” , Day Design Pty Ltd., Acoustical Consultant,9-11 Nov., 2005. 8. Min-Chie Chiu, Ying Chun Chang, “Shape Optimization of multi-chamber Cross-flow Mufflers by SA Optimization”,Journal Sound & Vibration, Vol. 312(2008), pp.526-550,2008. 9. P. S. Yadhav, A. Muthukumar, V. V. Phani Kiran, Tandon and S. Raju, “ Optimized Design of Silencer – An Integrated Approach” ,SAE No. 2007-26-037, 2007. 10. Key Fonseca De Lima, Arcanjo Lenzi, Renato Barbieri, “The Study Of Reactive Silencer By Shape and parametric Optimization Techniques”, Applied Acoustic 72 (2011) 142-150, 2011. Abstract: The present paper assesses change in land use/land cover in Jind district of Haryana in a period of 1.5 decades(1992-2008) using remote sensing (RS) and Geographic Information System (GIS).For the study, Land use/Land cover (LULC) maps of two different years i.e. 1992-1993 and 2007-08, were prepared using multi-date satellite data. Land use/Land cover maps were prepared by digitization of different features through visual interpretation on satellite imagery using GIS software, after geometric correction of the satellite imageries. The total geographical area of Jind district was 274893 hac and it was categorized in built-up land, agricultural land, wasteland, water bodies, forest and transportation. The satellite data used for year 1992-93 was IRS-IA/IB LISS-I data with 72m resolution, however satellite data for year 2007-08 was IRS-P6 LISS-III data with 23.5m resolution. The agricultural land increased between 1992-93 and 2007-08, whereas fallow land decreased in the prescribed time period. There was an increase in built-up land from 1992-93 to 2007-08. The area under wasteland decreased due to increase in agricultural land and reclamation of salt-affected and waterlogged lands. The paper concludes that with the passage of time built-up increased with increase in human population and also man has reclaimed some wasteland and converted it to agricultural land to increase production for this increasing population. Keywords: LISS-I, LISS-III, LULC, GIS, RS. 1. Roy P.S., Giriraj A. 2008. Land Use and Land Cover Analysis in Indian Context. J. App. Sc.,8:1346-1353. 2. Brockerhoff, M.P., 2000: An urbanising world. Population Bulletin, Vol. 55, No. 3,Population Reference Bureau, 45 p.
4. Nayak S. and Behera MD, Land Use/Land Cover Classification and Mapping of Pilibhit District, Uttar Pradesh,India.The In.Geo.J., 2008, 83, 1–10. 5. Prakasam.C.,2010. Land use and land cover change detection through remote sensing approach: A case study of Kodaikanal taluk, Tamil nadu. Int. J. of Geomatics and Geosciences,1(2):150-158. 6. Milesi, C., Elvidge, C.D., Nemani, R.R., Running, S.W., 2003. Assessing the impact of urban land development on net primary productivity in the southeastern United States. Remote Sensing of Environment, 86(3):401-410. 7. Veitch, N., Webb, N.R., Wyatt, B.K., 1995. The application of geographical information systems and remotely sensed data to the conservation of heathland fragments. Biological Conservation, 72(1):91-97. 8. Minakshi, Kumar, Harinda Lakmal, A., Abeysinghe, A.M.K.B., and Dadhwal, V.K.Expert classification based land use/land cover change detection : A case study of Dehradun, India. 10. Kachhwala TS. (1985). Temporal monitoring of forest land for change detection and forest cover mapping through satellite remote sensing. In: Proceedings of the 6th Asian Conf. On Remote Sensing. Hyderabad, pp 77–83. 11. Star JL, Estes JE, McGwire KC, (1997). Integration of geographic information systems and remote sensing. New York, NY: Cambridge University Press. 13. Jensen J. R (1996). Introductory Digital Image Processing: A Remote Sensing Perspective. New Jersey: Prentice-Hall. Abstract: Transportation on land is the most common one among all the modes of transportation: may be on roads or railways. In India and abroad bridges have been built along roadways and railways in order to make the transportation system more efficient and economical. Some of them are steel truss bridges and majority of which are very old and have been designed as per the codal standards existing at the time of their construction. Problems with these truss bridges are that, they are deteriorated to such extents which are not able to resist the loads for which they are originally designed and/or they may not be able to match with the current loading and traffic requirements. Hence there is a need to strengthen these existing truss bridges. The method to be adopted for strengthening should be cheap and economical with minimum disturbance to the existing traffic. Even though there are different methods of strengthening of bridges, one of the best methods is the posttensioning by high tension steel tendons. In the present analytical investigation, only the truss portion of the steel truss bridge is undertaken for strengthening. Pratt pattern of the truss is considered as it is one of the commonly used trusses. In order to know the effect of posttensioning on member forces, the truss is externally posttensioned with two-drape tendon layout which is placed below the bottom chord. Stiffness matrix for two-drape tendon is developed and MATLAB computer programs are generated for the posttensioned truss analysis. From the results obtained after analysis, significant reduction in member forces is noticed and the reduction in member forces increases with the increase in the vertical distance between the bottom chord and tendon. If the truss is internally posttensioned by keeping tendon along the bottom chord, there will be reduction of forces only in the bottom chord members; whereas in external posttensioning, there is reduction in almost all the members of the truss and the percentage reduction is also more when compared to that due to internal posttensioning. Hence, to reduce the member forces external posttensioning is more efficient than internal posttensioning. Keywords: Bridges, Chord, Posttensioning, Pratt, Tendon, Truss, Two-Drape. 1. Ayyub, B. M., Ahmed-Ibrahim, and David-Schelling (1990a). “Posttensioned Trusses: Analysis and Design.” Journal of Structural Engineering, ASCE, Vol. 116, No.6, pp. 1491-1506. 2. Ayyub, B. M., and Ahmed-Ibrahim (1990b). “Posttensioned Trusses: Reliability and Redundancy.” Journal of Structural Engineering, ASCE, Vol. 116, No.6, pp. 1507-1521. 3. Belenya, E. (1977). Prestressed load bearing metal structures, MIR Publishers, Moscow. 4. Jain, S. S. (2002). “Development of bridge management systems.” National workshop on Bridge Engineering- Some issues of research interest, Department of Civil Engineering, IIT, Roorkee, pp. 181-216. 5. Krishna, P., and Kumar K.(2001). “Challenges in bridge engineering-The Indian scenario.” National workshop on research interest in bridge engineering-present and future, Bridge Engineering group, University of Roorkee, Roorkee, pp. 1-18. 6. Ravindra, P.M., and Nagaraja, P.S. (2013). “Strengthening of determinate Pratt steel truss by the application of posttensioning along its bottom chord.” The International Journal Of Science andTechnoledge, Vol. 1, Issue 2. Pp. 1-6. 7. Troitsky, M.S. (1990). Prestressed steel bridges theory and design, Bridge series, Van Nostrand Reinhold, New York, N.Y.
8. Weaver, W., Jr., and Gere, J.M. (1986). Matrix analysis of framed structures, 2nd Edn., CBS Publishers and distributors, New Delhi, India. Abstract: Drought is a recurring phenomenon in many parts of the world, bringing significant water shortages, economic losses and adverse social consequences. Hence knowledge of the drought risk area, their occurrence and their course is an essential aspect for planning. In southern state Ramand district is well known for its frequent monsoon failure, drinking water scarcity and worst drought condition, Remotely sensed data and GIS is widely accepted as a tool for the establishment of integrated information. Drought risk area, by nature, is a result of interrelated parameters concerned. The study area taken in to consideration is Sivagangai taluk, part of old Ramanad district historically a drought prone area. Using geomatic tools detailed analysis has been made with respect to rainfall, water level, subsurface formation, and the geomorphology derived out of remotely sensed data products. The collateral data collected from the field have been converted in to spatial themes and overlay analysis helped to derive the pattern of water level variation, ground water quality deterioration and ground water potential changes. Estimation of ground and surface water potential for a considerable period helped to identify the water stress condition and the same has been correlated with respect to individual villages of Sivagangai taluk. The village wise stress condition helped to plan for effective water resources management by providing recharge and remedial measures to combat the drought condition. Keywords: Hydrological drought, metereological drought. 1. Saenjan. P., Ganier. B.J., Maclean. P.A., 1990. Patterns of Wet Season Rainfall in Northeast Thailand In Proceedings of the Seminar on Remote Sensing and GIS for Soil and Water Management. Khon Kaen : Khon Kaen University, p 180-p 202. Siripon. K., and Mongkolsawat. C., 2000. Spatial and Temporal Analysis of Rainfall Pattern in Northeastern Thailand : Application of GIS. Journal of Remote Sensing and GIS Association of Thailand. Vol.1, No.1, p.1-p 18. 2. Wongvitavas.P., 1993. Rainfall Analysis in Northeastern Thailand. Bangkok Meteorological Dept, Technical Document No.551.577.3-01, 99p. 3. Palmer., 1965. Meteorological Drought, Office of climatology, Washington D.C., U.S. Weather Bureau, Research paper No 45, 58p. 4. Rig, D.J., 1985. The role of environment in limiting the adoption of new rice technology in Northeast Thailand. Transs. Inst. Br, Geog. N.S.10. p 481-494. Abstract: This paperdiscusses the design issue in the field of MicroElectromechanical System (MEMS).MEMS offer the handheld and consumer electronics industry great hope for enhanced functionality. MEMS based accelerometers, microphones, pressure sensors, antennas, RF switches and embedded memory chips are being integrated with IC products and leading to new applications. Definition of MEMS as the name suggests, it is the electronic with the mechanical parts (moving/non moving)on the same chip in the microscale. MEMS is the type of enabling technology in VLSI where the most important thing is the ability to add value to the existing or new systems/Ips in the field.Design process of any implication begins with the definition of the problem and the required problem specification followed by the generation of concepts, the evaluation of concepts and then the product design. 1. S. D. Senturia Microsystemsem Design, Kluwer Academic Publishers, Mass., 2001. 2. Tai-Ran Hsu, ‘MEMS and Microsystems Design and manufacture,” McGraw-Hill, Boston, 2002. 3. G. T. A. Kovacs “Micro machined Transducers Sourcebook”, McGraw-Hill, Boston, 1998. 4. M. Madou, “Fundamentals of Fabrication”, CRC Press, Boca Raton, Florida, 1997. Abstract: Soil moisture estimation is important for land surface modeling and climate modeling, with soil moisture being employed as a critical parameter. Although, the derivation of soil moisture from passive microwave remote sensing has been theoretically and practically proven to be possible, its spatial resolution however tends to be coarse-grained, at a range of about 20-40 km. As this does not satisfy the requirements of models using higher resolution grids, it is thus desirable to downscale soil moisture to finer resolutions of between 1 to 5 km. Neural network ensembles are known to be able to effectively improve the overgeneralization that arises from the combination of a set of neural network classifiers with a diverse range of error distributions. In this paper, a neural network ensemble method was explored to downscale soil moisture content from 20km to 2km resolution. The dataset used in this experiment was captured using low resolution L-band passive microwave observations from regional air-borne measurements in the study of Goulburn River catchment in Australia. The results have shown that by using a neural network ensemble, an average accuracy of 2.33% can be obtained for the downscaled soil moisture at a 2km resolution. Keywords: Downscaling, ensemble neural network, radiometer, soil moisture. 1. de Rosnay, P., M. Drusch, J.P. Wigneron, T. Holmes, G. Balsamo, A. Boone, C. Rudiger, J.C. Calvet, and Y. Kerr. Soil Moisture Remote Sensing for Numerical Weather Prediction: L-Band and C-Band Emission Modeling Over Land Surfaces, the Community Microwave Emission Model (CMEM). in IEEE International Geoscience and Remote Sensing Symposium, 2008. IGARSS 2008. . 2008: IEEE. 2. Drusch, M., Initializing numerical weather prediction models with satelliteâ€derived surface soil moisture: Data assimilation experiments with ECMWF's Integrated Forecast System and the TMI soil moisture data set. Journal of Geophysical Research: Atmospheres (1984â€“2012), 2007. 112(D3). 3. Rhodin, A., F. Kucharski, U. Callies, D.P. Eppel, and W. Wergen, Variational analysis of effective soil moisture from screenâ€level atmospheric parameters: Application to a shortâ€range weather forecast model. Quarterly Journal of the Royal Meteorological Society, 1999. 125(559): p. 2427-2448. 4. Aubert, D., C. Loumagne, and L. Oudin, Sequential assimilation of soil moisture and streamflow data in a conceptual rainfallâ€“runoff model. Journal of Hydrology, 2003. 280(1): p. 145-161. 5. Crow, W.T., R. Bindlish, and T.J. Jackson, The added value of spaceborne passive microwave soil moisture retrievals for forecasting rainfall-runoff partitioning. Geophysical Research Letters, 2005. 32(18): p. L18401. 6. Scipal, K., C. Scheffler, and W. Wagner, Soil moisture-runoff relation at the catchment scale as observed with coarse resolution microwave remote sensing. Hydrology and Earth System Sciences Discussions Discussions, 2005. 2(2): p. 417-448. 7. Cavanaugh, M.L., S.A. Kurc, and R.L. Scott, Evapotranspiration partitioning in semiarid shrubland ecosystems: a twoâ€site evaluation of soil moisture control on transpiration. Ecohydrology. 4(5): p. 671-681. 8. Oren, R. and D.E. Pataki, Transpiration in response to variation in microclimate and soil moisture in southeastern deciduous forests. Oecologia, 2001. 127(4): p. 549-559. 9. Zhang, Y., C. Li, C.C. Trettin, H. Li, and G. Sun, An integrated model of soil, hydrology, and vegetation for carbon dynamics in wetland ecosystems. Global Biogeochemical Cycles, 2002. 16(4): p. 9-1-9-17. 10. Chai, S.-S., J.P. Walker, O. Makarynskyy, M. Kuhn, B. Veenendaal, and G. West, Use of soil moisture variability in artificial neural network retrieval of soil moisture.Remote Sensing, 2009. 2(1): p. 166-190. 11. Zhou, Z.-H., J. Wu, and W. Tang, Ensembling neural networks: many could be better than all. Artificial intelligence, 2002. 137(1): p. 239-263. 12. Chai, S.S., An Artificial Neural Network Approach for Soil Moisture Retrieval Using Passive Microwave Data: Curtin University of Technology. 13. Chai, S.-S., B. Veenendaal, G. West, and J.P. Walker. Explicit inverse of soil moisture retrieval with an artificial neural network using passive microwave remote sensing data. in IEEE International Geoscience and Remote Sensing Symposium, 2008. IGARSS 2008. . 2008: IEEE. 14. Chai, S., J.P. Walker, B. Veenendaal, and G. West, An artificial neural network model for downscaling of passive microwave soil moisture. 15. Walker, J.P. and R. Panciera, National Airborne Field Experiment 2005: Experiment Plan. Department of Civil and Environmental Engineering, The University of Melbourne, 2005. 16. Panciera, R., J.P. Walker, O. Merlin, J.D. Kalma, and E. Kim. Scaling Properties of L-band Passive Microwave Soil Moisture: From SMOS to Paddock Scale. in 30th Hydrology and Water Resources Symposium. 2006. he Institute of Engineers Australia, Launceston, Australia. 17. Jing, W., G. Ni, W. Xiaoping, and Y. Jia. Comparisons of normalized difference vegetation index from MODIS Terra and Aqua data in northwestern China. in IEEE International Geoscience and Remote Sensing Symposium, 2007. IGARSS 2007. 2007. 18. Merlin, O., J.P. Walker, A. Chehbouni, and Y. Kerr, Towards deterministic downscaling of SMOS soil moisture using MODIS derived soil evaporative efficiency. Remote Sensing of Environment, 2008. 112(10): p. 3935-3946. Abstract: We propose a unified mechanism for generating a small cosmological constant through cascade transition in the history of the Universe in the context of de Broglie-Bohm quantum theory. In our previous work we studied the possible effects of trans-Planckian physics on the Bohm quantum trajectories of massless minimally coupled scalar field in de Sitter space. The result showed that for the Corley-Jacobson type dispersion relation with sextic correction, there exists a transition in the evolution of the quantum trajectory from well before horizon exit to well after horizon exit, providing a possible mechanism for generating a small cosmological constant. In this paper we obtain similar transitional behaviour for the Corley-Jacobson type dispersion relation with quartic correction. We find that if we compare the trans-Planckian effects on the Bohm quantum trajectories due to quartic and sextic corrections, the latter is much smaller than the former. We calculate explicitly the finite vacuum energy density due to fluctuations of the inflaton field and show how the cosmological constant reduces during the slow-roll inflation at the grand unification phase transition. Similar reduction mechanisms at the electroweak, quark-hadron and current accelerating phase transitions are also suggested to yield the current small value of the cosmological constant. Keywords: Cosmological constant, de Broglie-Bohm theoty, Schrödinger picture, trans-Planckian physics. 1. A. R. Liddle and D. H. Lyth, Cosmological inflation and large-scale structure. Cambridge, UK : Cambridge University Press, 2000. 2. T. S. Bunch and P. C. W. Davies, “Quantum field theory in de Sitter space: renormalization by point splitting,” Proc. R. Soc. Lond. A, vol.360, 1978, 117. 3. N. D. Birrell and P. C. W. Davies, Quantum Fields in Curved Space. Cambridge, UK : Cambridge University Press, 1982. 4. U. H. Danielsson, “Note on inflation and trans-Planckian physics,” Phys. Rev. D, vol. 66, no. 2, 2002, Article ID 023511. 5. C. Armend´ariz-Pic ´on and E. A. Lim, “Vacuum choices and the predictions of inflation,” Cosmology and Astroparticle Physics, vol. 2003, no. 12, 2003, Article 006, 75. 6. L. de Broglie, “Sur la possibilit´e de relier les ph´enom`enes d’interf´erences et de diffraction `a la th´eorie des quanta de lumi`ere,” Comptes Rendus de l’Acad´emie des Sciences, vol. 183, 1926, 447. 7. L. de Broglie, “La structure atomique de la mati`ere et du rayonnement et la m´ecanique ondulatoire,” Comptes Rendus de l’Acad´emie des Sciences, vol. 184, 1927, 273. 8. L. de Broglie, “Sur le r ˆole des ondes continues en m´ecanique ondulatoire,” Comptes Rendus de l’Acad´emie des Sciences, vol. 185, 1927, 380. 9. D. Bohm, “A suggested interpretation of the quantum theory in terms of hidden variables. I,” Phys. Rev., vol. 85, 1952, 166. 10. D. Bohm, “A suggested interpretation of the quantum theory in terms of hidden variables. II,” Phys. Rev,. vol. 85, 1952, 180. 11. A.Valentini, “Signal-locality, uncertainty, and the subquantum H-theorem. I,” Phys. Lett. A, vol.156, 1991, 5. 12. A.Valentini, “Signal-locality, uncertainty, and the subquantum H-theorem. II,” Phys. Lett. A, vol. 158, 1991, 1. 13. A.Valentini, “Astrophysical and cosmological tests of quantum theory,” J. Phys. A: Math. Theor., vol. 40, 2007, 3285. 14. A.Valentini, “Inflationary cosmology as a probe of primordial quantum mechanics,” Phys. Rev. D, vol. 82, 2010, 063513. 15. N. Pinto-Neto, G. Santos, and W. Struyve, “The quantum-to-classical transition of primordial cosmological perturbations,” General Relativity and Quantum Cosmology. Phys. Rev. D, vol. 85, 2012, 083506. 16. J. Martin and R. H. Brandenberger, “Trans-planckian problem of inflationary cosmology,” Phys. Rev. D, vol. 63, 2001, no. 12, Article ID 123501, 16 pages. 17. R. H. Brandenberger and J. Martin, “The robustness of inflation to changes in super-Planck-scale physics,” Modern Physics Letters A, vol. 16, 2001, no. 15, pp. 999–1006. 18. J. Martin and R. H. Brandenberger, “Corley-Jacobson dispersion relation and trans-Planckian inflation,” Phys. Rev. D, vol. 65, 2002, no. 10, Article ID 103514. 19. P. Hoˇrava, “Quantum gravity at a Lifshitz point,” Phys. Rev. D, vol. 79, 2009, no. 8, Article ID 084008. 20. P. Hoˇrava, “Spectral dimension of the universe in quantum gravity at a Lifshitz point,” Phys. Rev. Lett., vol. 102, 2009, no. 16. 21. S. Koh, “Relic gravitational wave spectrum, the trans-Planckian physics and Hoˇrava-Lifshitz gravity,” Classical and Quantum Gravity, vol. 27, 2010, no. 22. 22. G. Amelino-Camelia, M. Arzano, G. Gubitosi, and J. Magueijo, “Dimensional reduction in the sky,” Phys. Rev. D, vol. 87, 2013, 123532. 23. G. Amelino-Camelia, M. Arzano, G. Gubitosi, and J. Magueijo, “Rainbow gravity and scale-invariant fluctuations,” 2013, arXiv:1307.0745 [gr-qc]. 24. J. J. Huang, and M. J. Wang, “Green’s functions of scalar field in de Sitter space: discrete lattice formalism.-I,” Il Nuovo Cimento A, vol. 100, 1988, no. 5, pp. 723–734. 25. J. J. Huang, “Excited states of de Sitter space scalar fields: lattice Schr¨odinger picture,” Modern Physics Letters A, vol. 21, 2006, no. 22, pp. 1717–1725. 26. J. J. Huang, “Inflation and squeezed states: lattice Schrodinger picture,” Modern Physics Letters A, vol. 24, 2009, no. 7, pp. 497–508. 27. J. J. Huang, “Pilot-wave scalar field theory in de Sitter space: lattice Schrodinger picture,” Modern Physics Letters A, vol. 25, 2010, no. 1, pp. 1–13. 28. J. J. Huang, “Bohm quantum trajectories of scalar field in trans-Planckian physics,” Advances in High Energy Physics. vol. 2012, Article ID 312841, 19 pages, 2012, doi:10.1155/2012/312841. 29. A. Valentini, “De Broglie-Bohm pilot-wave theory: many worlds interpretation,” in Many Worlds? Everett, Quantum Theory, and Reality, S. Saunders, J. Barrett, A. Kent, and D. Wallace, Eds., Oxford, UK: Oxford University Press, 2010, pp. 476–509. 30. M. Lemoine, M. Lubo, J. Martin, and J. P. Uzan, “Stress-energy tensor for trans-Planckian cosmology,” Phys. Rev. D, vol. 65, 2002, no. 2, Article ID 023510.31. T. A. Tanaka, “Comment on trans-Planckian physics in inflationary universe,” 2001, arXiv: astro-ph/0012431v2. 32. L. Sriramkumar and T. Padmanabhan, “Initial state of matter fields and trans-Planckian physics: Can CMB obserbations disentangle the two?” Phys. Rev. D, vol. 71, 2005, 103512. 33. P. A. R. Ade, N. Aghanim, C. Armitage-Caplan, M. Arnaud, M. Ashdown, F. Atrio-Barandela et al., “Planck 2013 results. XVI. Cosmological parameters,” 2013, arXiv:1303.5076 [astro-ph.CO]. 34. T. Boeckel and J. Schaffner-Bielich, “A little inflation in the early universe at the QCD phase transition,” Phys. Rev. Lett., vol. 105, 041301. 35. T. Boeckel and J. Schaffner-Bielich, “A little inflation at the cosmological QCD phase transition,” Phys. Rev. D, vol. 85, 103506. 36. J. Sola, “Cosmological constant and vacuum energy: old and new ideas,” 2013, arXiv:1306.1527 [gr-qc]. 37. C. Wetterich, “Growing neutrinos and cosmological selection,” Phys. Lett. B, vol.655, 2007, 201. 38. S. D. Bass, 2012, “The cosmological constant puzzle: Vacuum energies from QCD to dark energy,” arXiv:1210.3297 [hep-ph]. Abstract: Sentiment Analysis has become an indispensible part of product reviews in present scenario. We consider the problem of analyzing the overall sentiment of a document using Machine learning techniques. Sentiment Analysis is a very well studied field, but the scale remains limited to not more than a few hundred researchers. We improve the results using SVM kernel approach and compare the same with previously used techniques. The present research is a comparison and extension of the work proposed by Mullen and Collier (2003). Our system consists of a feature Extraction phase and a learning phase; on the basis of which the overall sentiment of the document is analyzed. Our present work uses the movie review data set used by Pang (2002). The present work shows that SVM Kernel approach outperforms the Naïve bayes approach. Keywords: Sentiment Analysis, Classifier, SVM, td-idf, Naïve Bayes, PCA. 2. Benjamin Snyder; Regina Barzilay (2007). "Multiple Aspect Ranking using the Good Grief Algorithm". Proceedings of the Joint Human Language Technology/North American Chapter of the ACL Conference (HLT-NAACL). pp. 300–307. Abstract: Speech recognition is one of the frontiers in Human Computer Interaction. A number of tools used to achieve speech recognition are currently available. One of such tools is Sphinx4 from Carnegie Mellon University (CMU). It has a recognition engine based on discrete Hidden Markov Model (dHMM) and a modular structure making it flexible to a diverse set of requirements. However, most efforts that have been undertaken using this tool are focused on established dialects such as English and French. Despite Swahili being a major spoken language in Africa, literature search indicates that little research has been undertaken in developing a speech recognition tool for this dialect. In this paper, we propose an approach to building a Swahili speech recognizer using Sphinx4 to demonstrate its adaptability to recognition of spoken Swahili words. To realize this, we examined the Swahili language structure and sound synthesis processes. Then, a 40 word Swahili acoustic model was built based on the observed language and sound structures using CMU Sphinxtrain and associate tools. The developed acoustic model was then tested using sphinx4. Keywords: Sphinx4, Swahili Language, Speech Recognition, Hidden Markov Model. 1. Juang B H, and L R Rabiner “Fundamentals of speech recognition” Eaglewood Cliffs, New Jeysey: PTR-Prentice Hill,1993. 2. Rusell Stuart and Peter Norvig, “Artificial intelligence: A modern approach 3rd Edition” Upper Saddle River, New Jeysey; Pearson Education, inc, 2010. 3. Choge, Susan. "Understanding Kiswahili Vowels." The Journal of Pan African Studies, 2009: 2.8, 62-77. 4. Hadrien, Gelas, Teferraabate Solomon, Besacier Laurent, and Pellegrino François. Quality assessment of crowdsourcing transcriptions for African languages. Lyon: Universit´e de Lyon, 2010. 5. Mwasimba. "Chapter 1 - Swahili Spelling and Pronunciation." Mwasimba Online. April 4, 2009.Available [online]: http://mwanasimba.online.fr/E_Chap01.htm accessed 13th,September 2011. 6. Ngugi, K,W Okelo and P, Wagacha, “Swahili text to speech system”, African Journal of Science and Technology,49.1,88-89. 7. Huang, Xuedong, Alex Acero, and Hon Hsiao-wuen. Spoken Language Processing. Upper Saddle River, New Jersey: Prentice-Hall Inc, 2001). 8. Guy, De Pauw, De Schryver Gilles-Maurice, and W Wagacha Peter. "Data-Driven Part-of-Speech Tagging of Kiswahili." Text, speech and dialogue, ninth international conference, Proceedings. Berlin, Germany: Springer, 2006. 9. Chege, K., Wagacha, P. W., De Pauw Guy, M. L., & Wanjiku, N. (2010). “Developing an Open source spell checker for Gĩkũyũ". Second Workshop on African Language Technology . II. Valletta, Malta: European Language Resources Association (ELRA). 10. Carnegie Mellon University. Sphinx4 [Online]. Available: http://cmusphinx.sourceforge.net. 12. H. Satori, M Harti and N Chenfour. “Introduction to Arabic Speech Recognition Using CMUSphinx System”. Information and Computer Science. pp.173, 115, 2010. 14. Willie, Walker, et al. Sphinx-4: A Flexible Open Source Framework for Speech Recognition. Sun Microsystems inc., 2004. Abstract: At present, world is suffering from the biggest issue of energy. This problem can be eradicated by shifting the power generation dependency from fossil fuels to the renewable energy resources that is cost effective and environment friendly. The main idea of this research project is to collect the solar thermal resource for the purpose of power generation. This paper covers the aspects of system designing, analysis and practical implementation of the Concentrated Solar Power system. The system employs PVC mirror sheet in parabolic shape to concentrate the sun’s rays onto the receiver tubes. Water present inside the Receiver tubes heated up to the exact 100°C to produce steam. Steam is used to drive conventional steam turbine which is mounted on the shaft of a generator that produces electricity. Experiment has been performed; shows that it is an effective approach of power generation but the amount of generated steam is very small. However some improvement and advancement of this system are also presented for large scale applications. Keywords: Concentrating Structure, Heat Receiver tube, Parabolic Trough Technology, Renewable energy, Steam Turbine. 2. N.J. Ekins-Daukes,. 2009. Solar Energy for Heat and Electricity. The Potential for Mitigating Climate Change, Briefing Paper No 1: pp. 1-12. 3. William B. Stine and Michael Geyer, 2001. Power from the Sun. 4. Muhammad Asif Munir, Aleem Ahmed Khan and Muhammad Rafay Khan, 2013. Designing and Implementation of Two-Axis Controller for Solar Tracking System, 1st International Conference on the Application of Information Technology in Developing Renewable Energy Processes & Systems. 5. George B. Thomas Jr, and Ross L Finny, 1979. Calculus and Analytical geometry, 9th Edition. 7. Konar, A., Mandal,. A. K., 1991. Microprocessor Based Automatic Sun Tracker. IEE Proc.-A. Vol. 138, 4:237-1. 8. Yeong-Chau K., Tsorng-Juu L., Jiann-Fuh, C., 2001. Novel Maximum-Power-Point-Tracking Controller for Photovoltaic Energy Conversion System. Industrial Electronics, IEEE Trans., Vol. 48, 3 : 594-1. 9. Wilamowski, B. M., Xiangli, L., 2002. Fuzzy System Based Maximum Power Point Tracking for PV System. 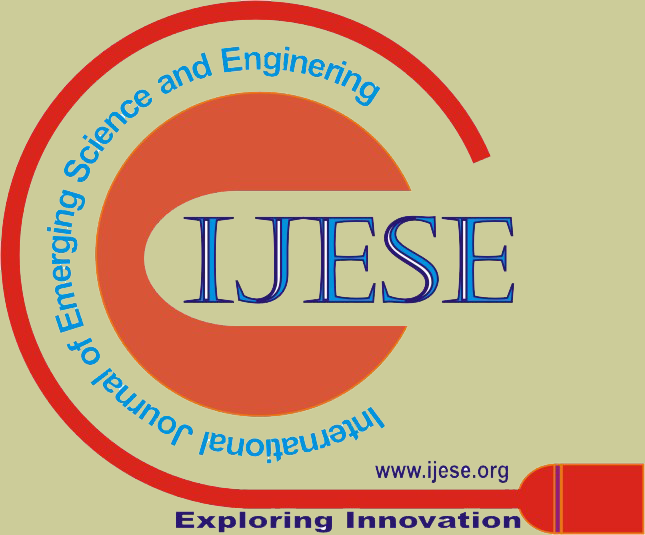 Industrial Electronics Society, IEEE 2002, 28th Annual Conference of the IECON 02, 4:3280-4.